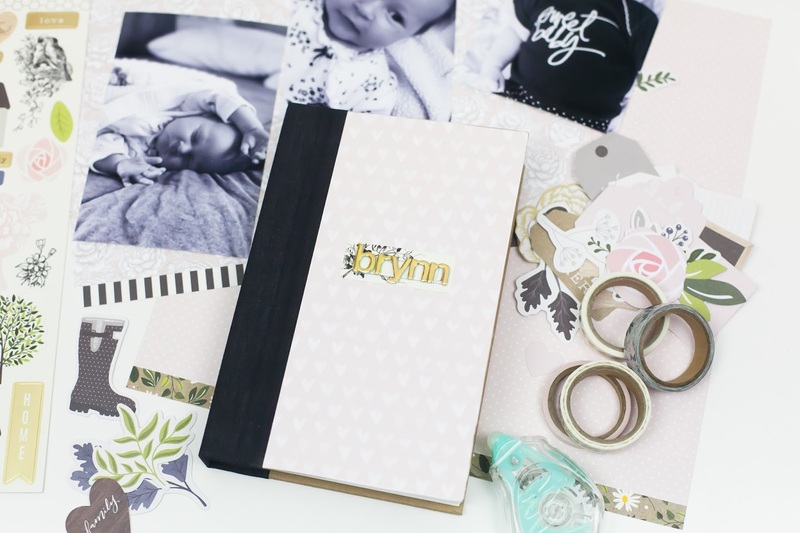 today i want to talk "documenting babies". we all know that the weeks and months fly past, so now more than ever the photos and stories are what we treasure most. 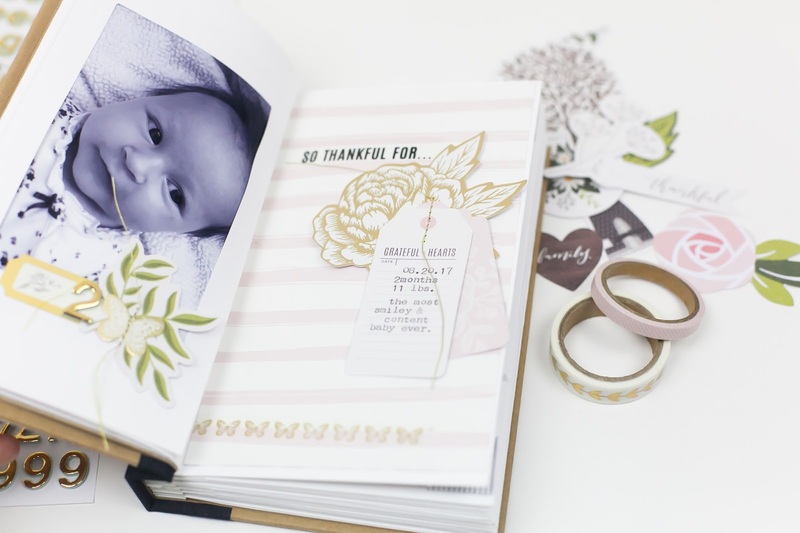 i found a perfect way to use one of the heidi swapp photo journals i had in my stash. 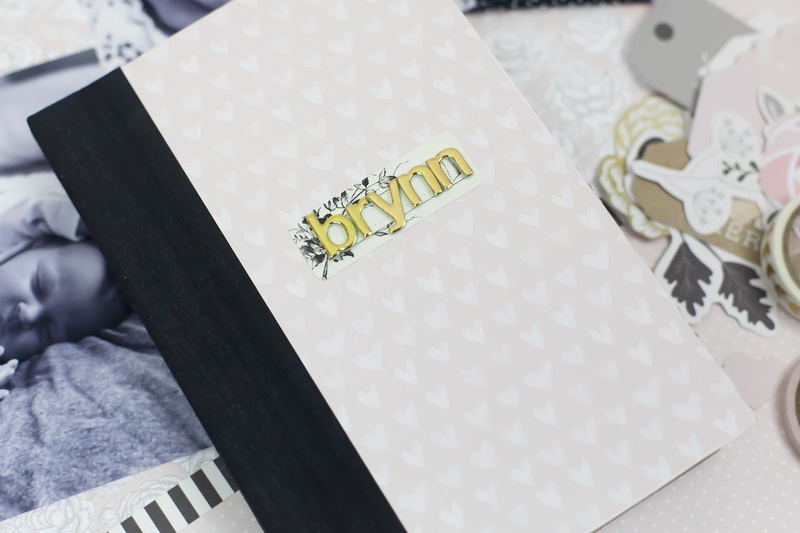 i decided to use it to document my daughter brynn as she grows each month. 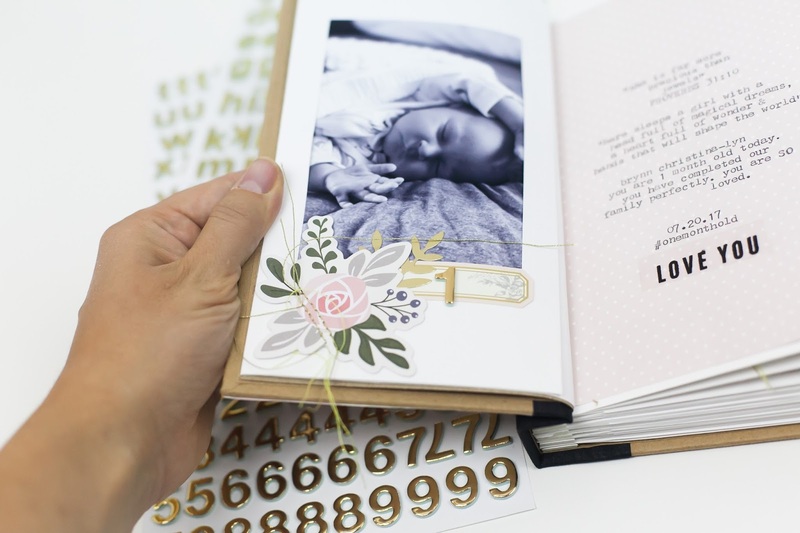 slip in a monthly photo, add in some journaling and embellishments and when she turns 1 year i will have this beautiful book complete full of my favourite monthly photos and memories. 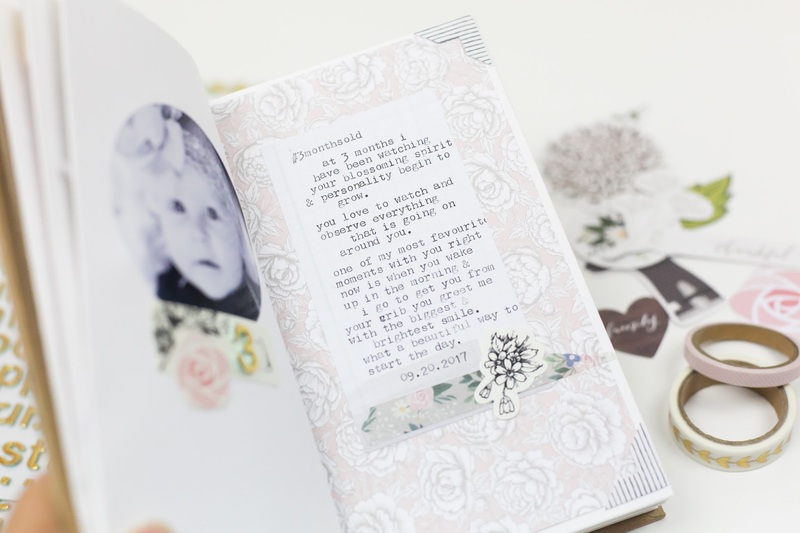 to create my book i incorporated the beautiful jen hadfield heart of home collection. the papers are so soft, yet rich. 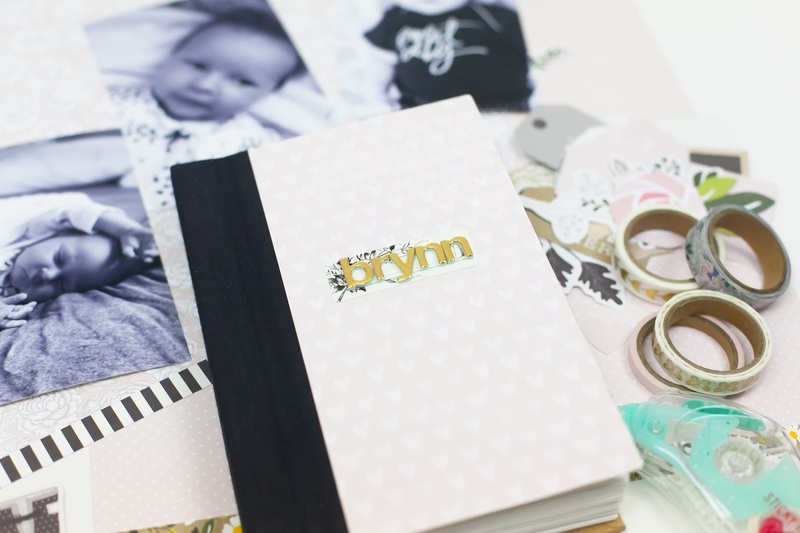 the perfect collection to document a baby girl. for this album i am keeping all of my photos black and white. i am also using my we r memory keepers typecast to add in my sentiments....whether it be a quote, story, memory or favourite passage. i also have been obsessed in using my we r memory keepers stitch happy machine. 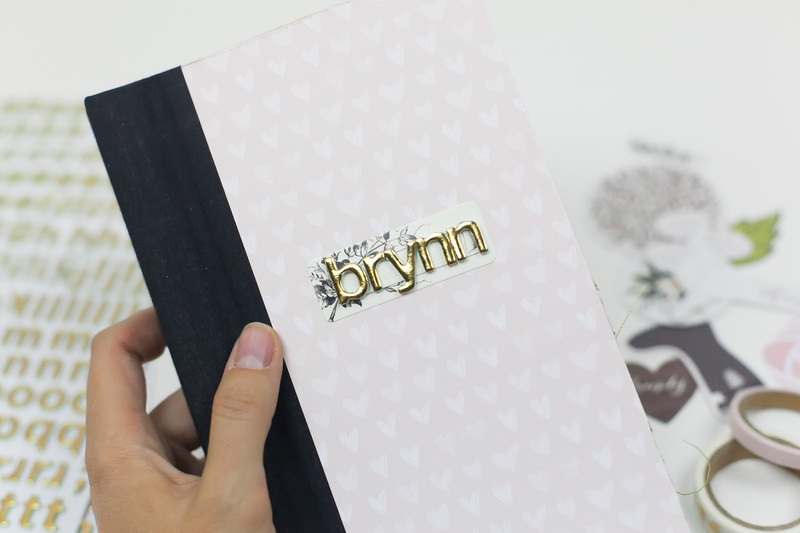 i love being able to add metallic thread detailing throughout my journal. 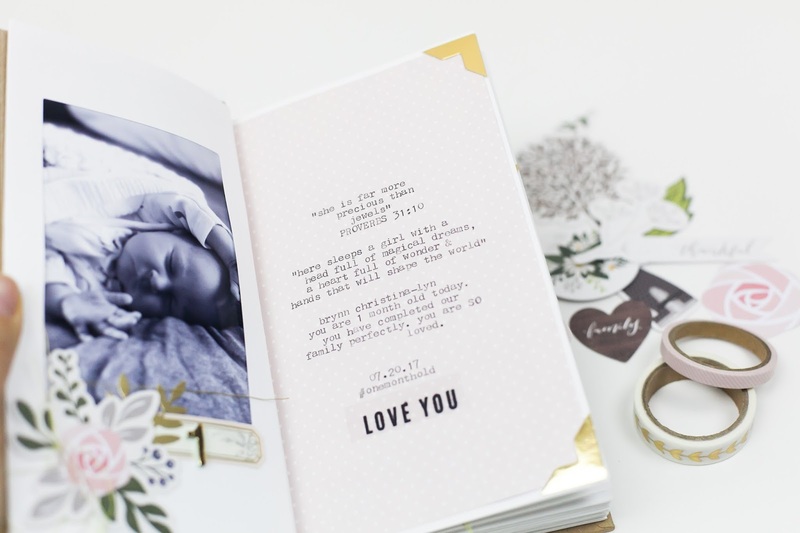 the photo corners are from heidi swapp's storyline collection and are found in the deck of days kits. they are just awesome and i am kind of obsessed. next week she will be 4 months and i will add in this months photo and thoughts. it is really so mind boggling to me how we have reached 4 months old! i remember being pregnant with her like yesterday. even though it feels like i am both busier (and more tired) than ever, i know that the time i am making to capture these moments will be one of the best things i have ever done. 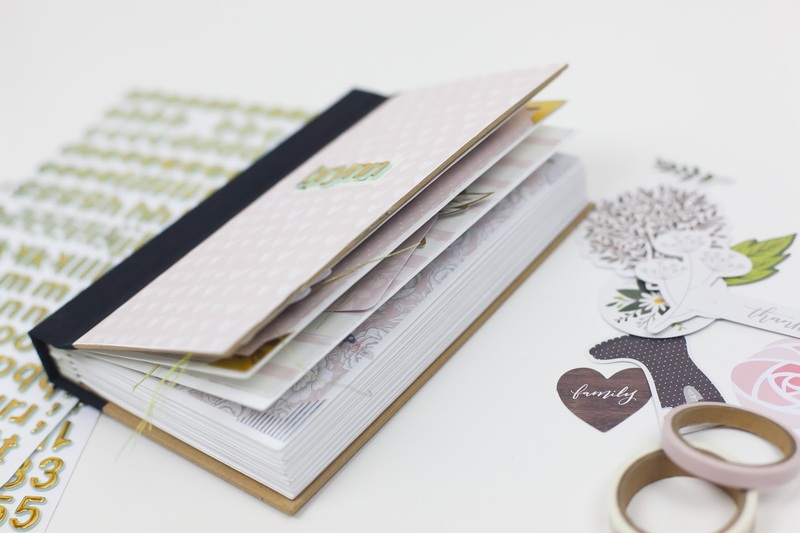 already when i look back on the pages that i have completed i am so grateful. it's like my own little time machine that i can look back on and read and feel like i am in that moment again. there is truly nothing i love more than simple, doable, meaningful and beautiful memory keeping XO.